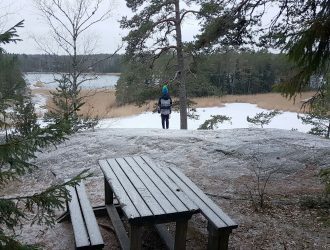 Metsäkoivula trail is an easy day trip from Helsinki as it is located in a small town called Somero, about 100 kilometers from the capital area. 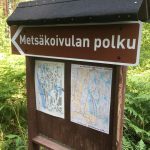 Nearby are the national parks of Liesjärvi and Torronsuo, but Metsäkoivula has some unique characteristics that make this small trail worth a visit. Not only this trail is located in my hometown but there is a beautiful view to a small forest lake that occasionally attracts swans, a Moonshiners’ Creek now serves as a perfect spot for a barbecue, and geocachers may discover few hidden treasures along the trail. 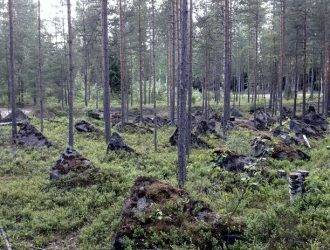 This part of Finland is usually flat, so these rocks and views are quite special in the area. The trail is approximately 5 km long and it is clearly marked with a blue paint on the trees. The info board recommends you to walk the trail clockwise. On a rainy day the path may be slippery but otherwise it is in good condition and easy to walk for the most parts. It has few steep climbs and some roots and rocks that make it challenging for elderly people. The final part of the trail, which comes back to the parking lot from another direction, is an old forest road and that part of the trail is accessible and easy to walk. The Metsäkoivula trail was established by a local man, who knew about the beautiful views, diverse nature and the little creek in this area. This land is owned by the city of Somero, which happily granted a permission for the trail to be established. 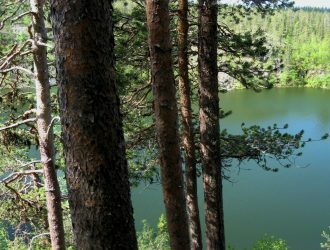 The trail takes you first through a pine and birch forest, soon climbing high on the rocks, where it offers a nice view to a round lake called Pohjaton, Bottomless. There are several lakes with this same name in Finland. Often the name Bottomless is given because lake is swampy and doesn’t seem to have a clear bottom. Don’t expect any sandy beaches by the lake Bottomless! After the viewing point on the rocks the path continues down the hill back into the forest. Soon there is a sign and yellow paint marks guiding you to the barbecue place. It is few hundred meters off the trail, and to continue the trail you should return to this sign from the barbecue place. The barbecue hut is called Pontikkapuro, Moonshiner’s Creek. The barbecue hut was build with city’s permission by a couple of volunteers, from local trees that had been knocked down by a storm. You are allowed to make a fire in this barbecue pit when there is no forest fire warning announced. For current information about the forest fire warning, please check the Finnish Meteorological Institute’s website. In summer 2018 a new part was added to the Metsäkoivula trail. 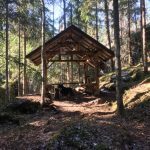 This new extension, marked with red paint, is called Hirvenpolku, Moose trail, and it takes you to an old forest, down to Särkjärvi lake, and later back to the original Metsäkoivula trail. Metsäkoivula trail continues through a swampy area and the final part of the trail is on Levolantie. Metsäkoivula trail’s car park is located approximately 8 km from the centre of Somero, just few kilometers off from Hämeen Härkätie, the famous Ox road. From Hämeen Härkätie you need to turn to Torro-Koivulantie and after about 1 km turn right to Levolantie. There is a sign that says ”Metsäkoivulan polku”. You should drive along the Levolantie until you arrive to a gate, and on the left side of the gate there is the beginning of the trail with a map. You may also arrive to Hämeen Härkätie from Finnish national road number 2, from which you have about 12 km to the Torro-Koivulantie intersection. 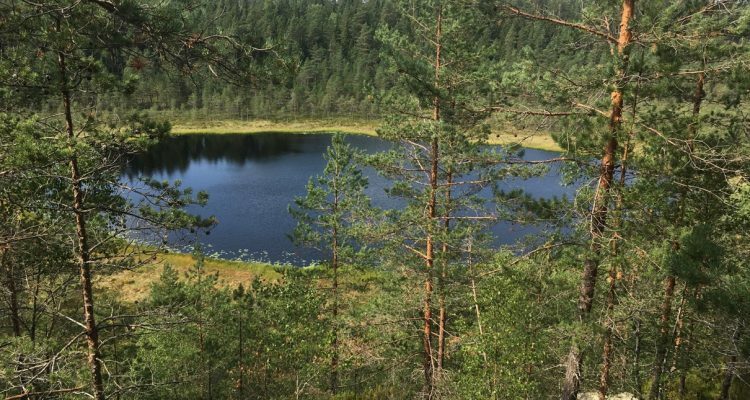 If you are based in Helsinki area and are planning a day trip to Metsäkoivula trail, you can reserve approximately 1 hour 30 minutes for the drive one way and a good 2 hours for the trail. More pictures and experiences from Metsäkoivula can be found from its Facebook page. 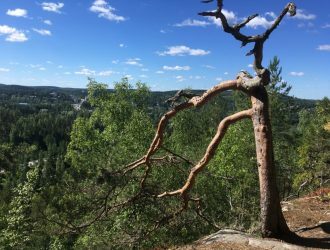 A local hiking organization Lounais-Hämeen Retki Ry operates in the area of Somero, Tammela and Forssa, and may be contacted if you are interested in joining this club for organized group events and trips. They are mainly focused in hiking, cycling, canoeing and camping activities. You should note that at this time of the year in September moose (also known as elks in Europe) and deer hunting may have already begun. You are allowed to go hiking during moose hunting season but it is advisable to wear red or orange clothes or high visibility vest and tell your whereabouts to any hunters that you may encounter in the forest. Every year in Finland, many people die in moose-related car accidents, and therefore moose hunting is happening every autumn nationwide as it keeps the moose population regulated. It is however strictly controlled and if you are interested in hunting moose in Finland, you need to get in touch with a local moose hunting club and follow their guidance. Should you accidentally hit a moose or any other animal while driving, pull over safely as soon as possible to check on the animal’s condition and try to prevent any further accidents. If the animal is injured, contact the police (emergency phone number 112), who then arrange the rescue or euthanase the animal. Encountering a moose or any other big animal in the Finnish forest is very rare but might happen. A male moose (bull) in heat can be unpredictable and a female moose (cow) protecting calves can behave aggressively. Normally they are aware of you way before you are aware of them, and they will keep a distance. They also don’t typically move around much during daylight hours. All animal attacks are extremely uncommon. The best way to avoid trouble is to make noise while you move in the forest. You can sing a bit, talk, or shout every now and then, or even attach a bell to your clothes. If you still happen to see a moose, bear or wolf while hiking in Finland, you should stay calm and slowly walk away backwards, the way you came. If the bear attacks you, protect your neck with your hands and play dead. However, seeing a bear in the wild is as rare as winning the lottery.